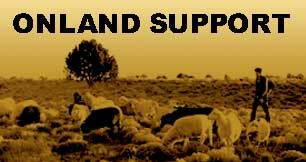 Black Mesa Indigenous Support! :: Help Black Mesa Residents Get to St. Louis for Important Anti-Peabody Training and Action! You are here: Home / Action Alerts / Help Black Mesa Residents Get to St. Louis for Important Anti-Peabody Training and Action! 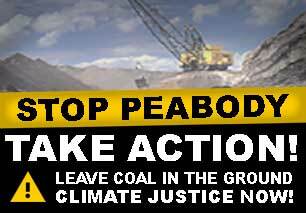 Help Black Mesa Residents Get to St. Louis for Important Anti-Peabody Training and Action! This January, help Black Mesa residents hold them accountable! This January, BMIS in coalition with Radical Action for Mountain Peoples’ Survival (RAMPS) and Missourians Organizing for Reform and Empowerment (MORE), will participate in organizing a month-long action training camp that culminates in non-violent direct action against the five major coal companies based in St. Louis, including Peabody Energy. (You can find out more about the action here: http://rampscampaign.org/). We know that Indigenous peoples the world over are disproportionately impacted by resource extraction. We feel that it is absolutely vital that the Indigenous voices from the communities most affected–communities that have undergone forced relocation and cultural genocide, and are standing as the very blockade to continued mining–are centered in this important action. We are asking for your financial support to help cover the costs of travel for residents of Black Mesa to get to St. Louis. Their presence at the camp will help folks make connections between dirty energy production and the devastation of Indigenous communities and will ensure that climate justice is understood inherently as a struggle for Indigenous people’s survival, rights, land, and self-determination. The camp includes housing and food, so sponsoring a Black Mesa/Big Mountain resident to get there will cost $200–this includes gas money from Big Mountain to Flagstaff, and a round trip train ticket between Flagstaff and St. Louis. We are asking organizations to consider sponsoring one to two residents, and individuals to sponsor one resident, or to contribute whatever is meaningful to them–everything helps! Make checks out to “Black Mesa Indigenous Support” with “St. Louis Travel” in the memo line. Send to 3214 N. Grandview Dr. Flagstaff, AZ 86004. Your donations can be tax deductible upon request. The Black Mesa residents travelling to St. Louis will also need sheepherders while they are away. This is another incredibly important way to make travel possible. Please consider coming out to Black Mesa to herd sheep for a travelling resident this January. If you are interested in attending the training as a participant–it will include direct action, community organizing, and media tracks–you can apply here. Please note, it is a 2-3 week commitment. The direct action at the end of the training (the 3rd week of January) will be open to the public. Stay tuned for updates on exact dates and details for the action.